Daniel Tsadik is an assistant Professor at Yeshiva University (New York) and a visiting assistant Professor at the Yale Initiative for the Interdisciplinary Study of Antisemitism. 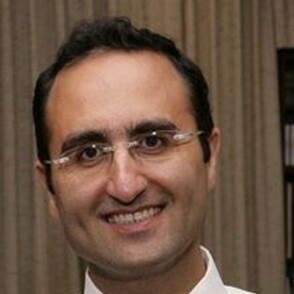 A Fulbright scholar, Dr. Tsadik obtained his PhD in 2002 from the Yale University History Department specializing in the areas of Iranian and Middle Eastern history as well as in history of the Jews under Islam. His research focuses on the modern history of Iran, Shi’ah Islam, and Iran’s religious minorities. Subsequent to his studies at Yale, Dr. Tsadik has been teaching at the Hebrew University in Jerusalem and elsewhere. He received fellowships from various places, including Tel-Aviv University’s Dayan Center for the research of Islam and the Middle East, the Hebrew University’s Golda Meir Fellowship Trust and Warburg Fellowship of the Institute for Judaic Studies, Wissenschaftskolleg zu Berlin’s Institute for Advanced Study, and the University of Pennsylvania’s Institute for Advanced Judaic Studies. Dr. Tsadik has authored a book entitled Between Foreigners and Shi‘is: Nineteenth-Century Iran and its Jewish Minority (Stanford: Stanford University Press, 2007). He also has published articles in his fields of interest, such as “The Legal Status of Religious Minorities: Imami Shi‘i Law and Iran’s Constitutional Revolution,” Islamic Law and Society 10, 3 (2003), 376-408; “Nineteenth Century Shi‘i Anti-Christian Polemics and the Jewish Aramaic Nevuat ha-Yeled [The Prophecy of the Child],” Iranian Studies 37 (2004), 5-15; and “Religious Disputations of Imami Shi‘is against Judaism in the Late Eighteenth and Nineteenth Centuries,” Studia Iranica, 34 (2005), 95-134.